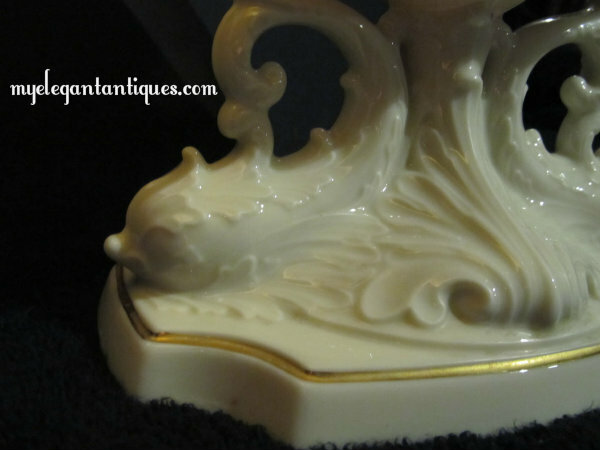 The Antiquarians are pleased to offer the Lenox 'Aquarius Collection' footed centerpiece, dating from approximately 1968. 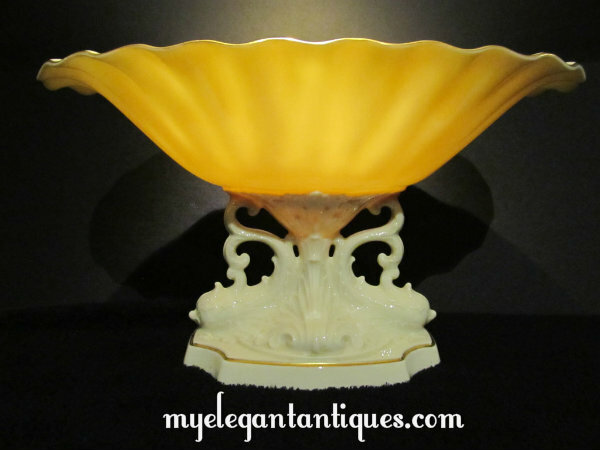 This is a long-discontinued and highly desirable piece featuring a large, 12" by 6-1/2" oval, fluted bowl sitting atop a pedestal supported by gracefully arched, twin dolphins and acanthus leaves. 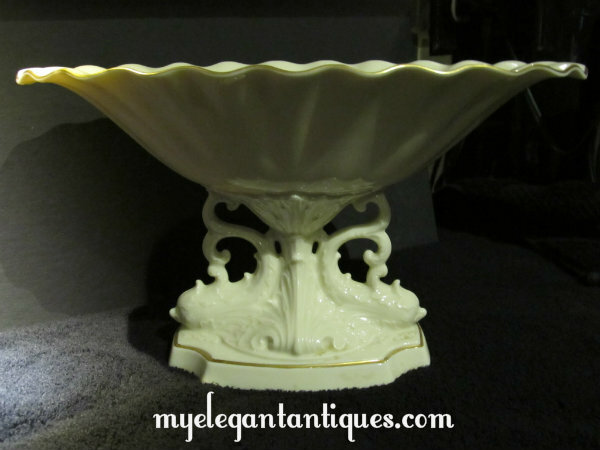 This bowl stands 6-1/2" in height, and features one of the most beautiful pedestals we have ever seen! 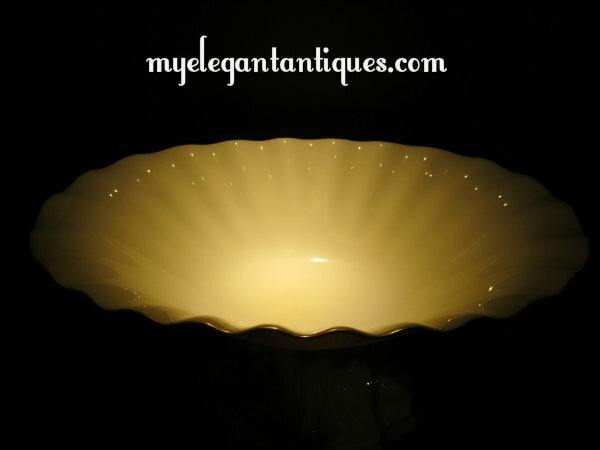 The fluted bowl and the base of the pedestal are rimmed with 24 karat gold, while the rest of this large piece consists of beautifully constructed, translucent Lenox porcelain! Use it as a fruit bowl, or for ornaments or fresh flowers -- it is ready to be placed into service or put on display. This gorgeous piece will increase the beauty of any arrangement you make! 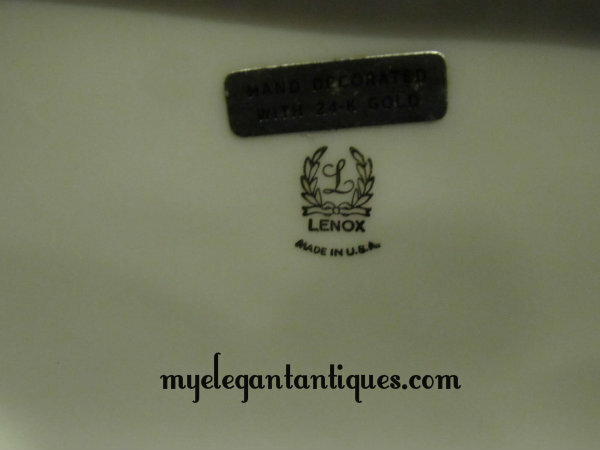 This bowl is in excellent new condition, with the original tag on the bottom as shown in our photographs. 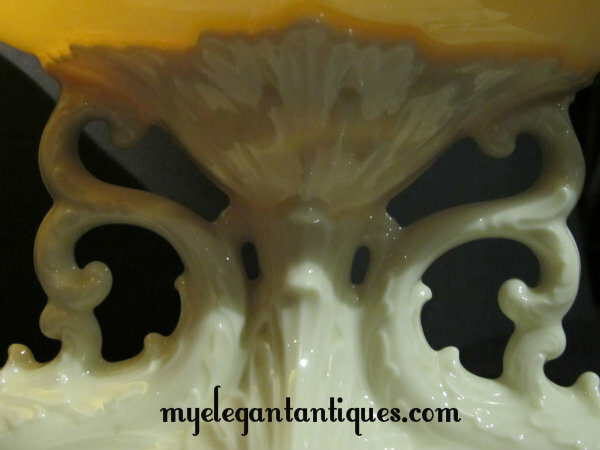 The base of this lovely piece is 6-1/4" by 4-1/4", and it will ship at about 5 pounds. 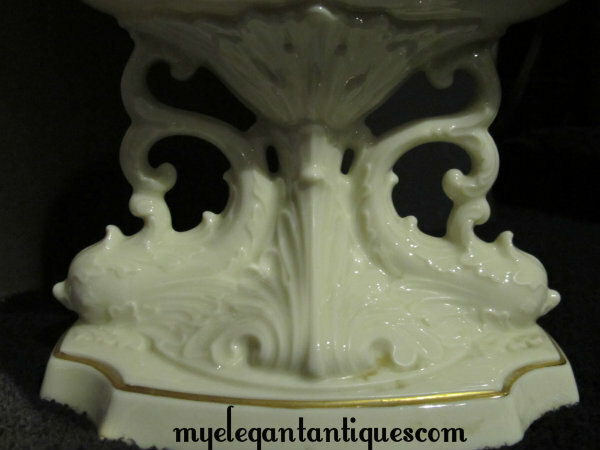 We think that we have priced this exquisite piece very fairly - it currently is featured on one of the replacement china websites for $139.95!